Plug-in America, the Electric Auto Association and the Sierra Club are organizing a nation-wide display of electric vehicles. There are events being organized in several cities across the U.S. I'm sure that we, as EV owners, are aware of the job we earned for ourselves by owning an EV - and that is, EV advocacy. 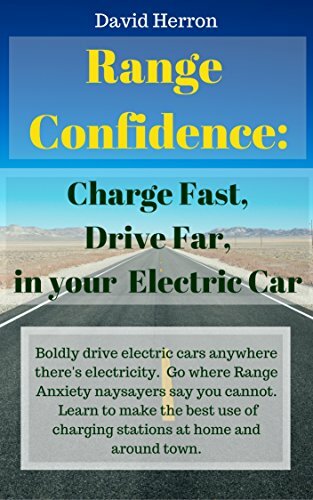 There isn't just the random encounters with people in parking lots who want to know more about EV's but there are events like this where it's an organized outreach to demonstrate EV's to the public. The main information page is at: http://www.pluginamerica.org/pluginday ... that page includes links to the many local events around the U.S. Below is a video from the impromptu parade to celebrate Obama's inauguration which was in part inspired for National Plug-in Day. I've talked to several people who purchased EVs after attending NPiD 2013. I am organizing a National Drive Electric Week event in Woodland Hills on Saturday September 20th. This is the same event committee as last year's Northridge event, just bigger and better. There will be cars from Tesla, Porsche, Fiat, Mini, and display booths from companies such as SolarCity and The Auto Gallery. Likewise, there are 15 types of cars signed up for ride and drive events, the most of any event! We also will be having an emmy award winning DJ and MC. There will be food trucks, and many prizes to give out there too! I'm wondering if anyone can come, with a plug in vehicle. It’s in Woodland Hills from 10AM-3PM. Thanks, and hope to see some of you there. Please RSVP if you may be able to go.